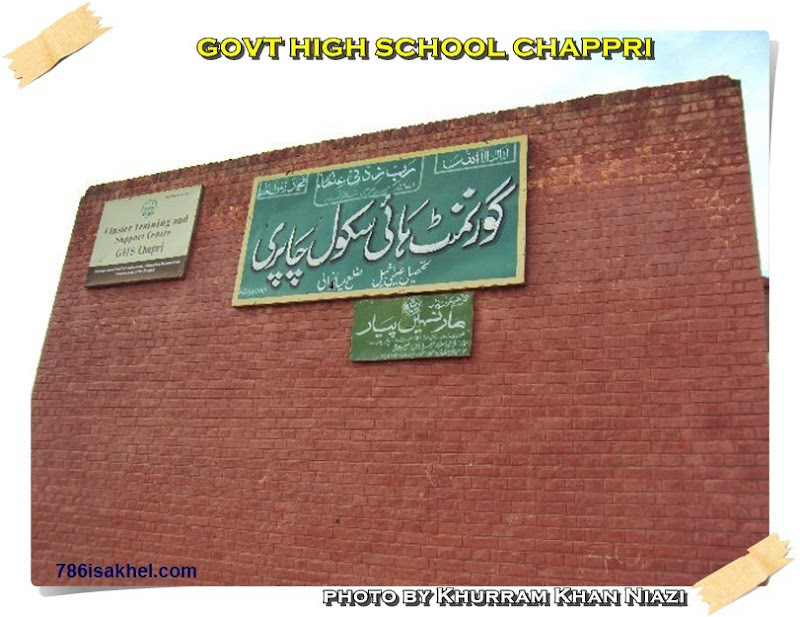 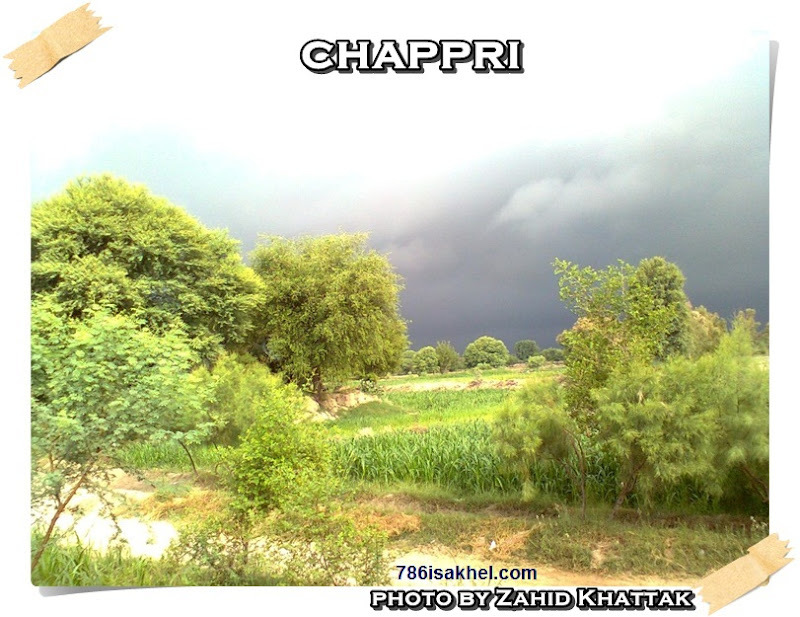 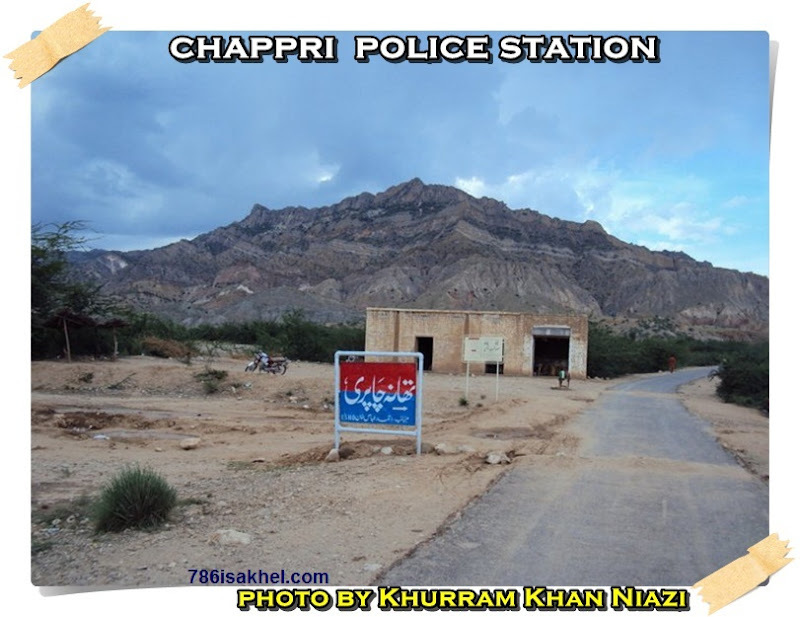 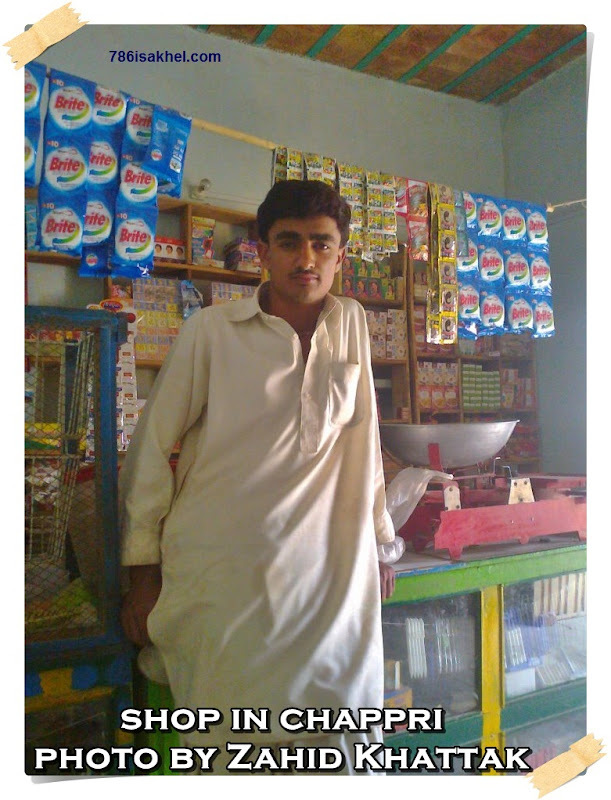 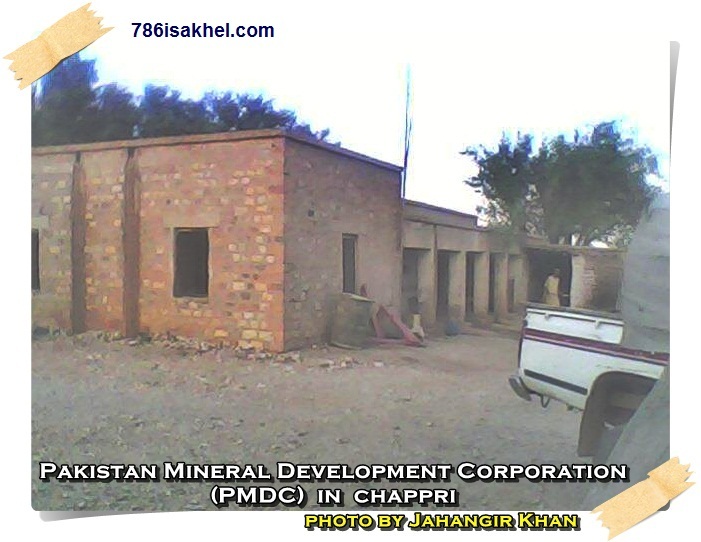 Chapri is a village and union council of the Mianwali District in the Punjab province of Pakistan. 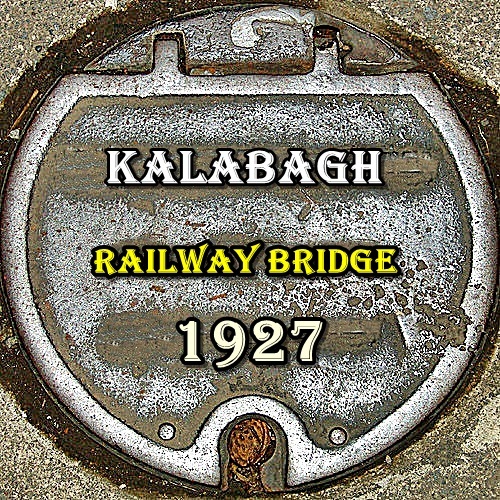 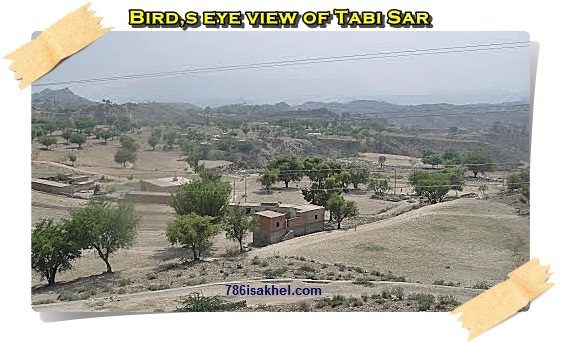 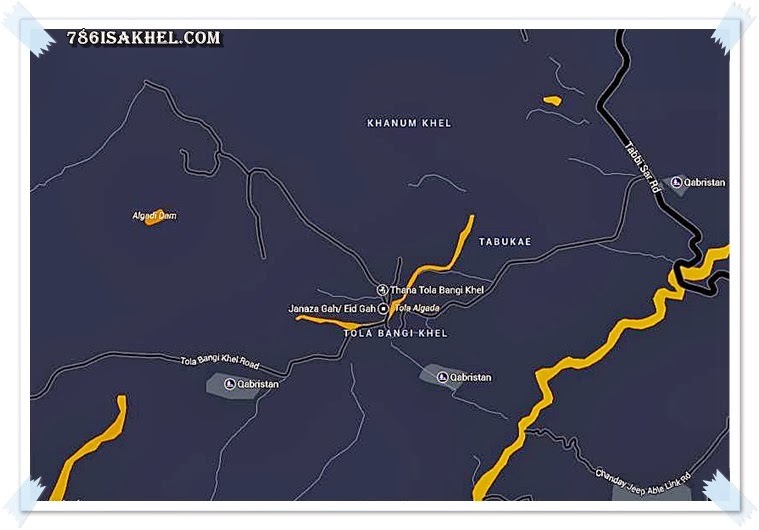 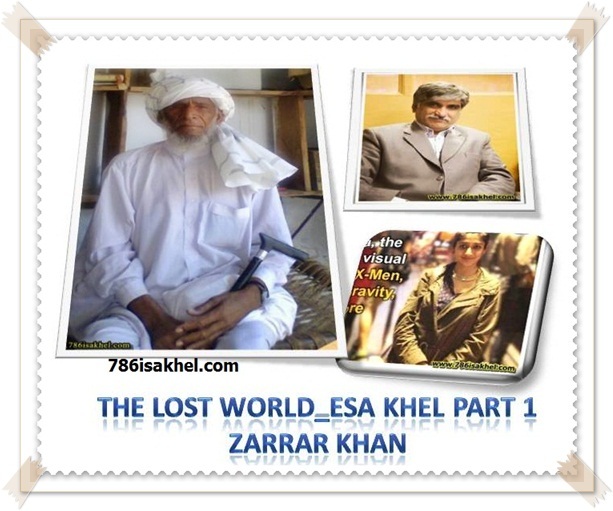 It is located in Isakhel Tehsil at 32°58′46″N 71°23′28″ECoordinates: 32°58′46″N 71°23′28″E, and lies about 17 km from Kalabagh and Qamar Mashani on two separate roads. 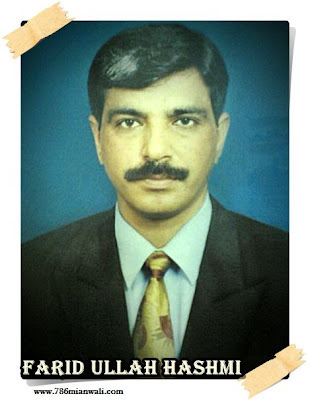 Most of the people are employed by the Pakistan Army in ranks less few officers like Lt.Col Shaista Mir Khan, Lt.Col Umar Gul and Major (R) Saleem Khan amongst others like Maj Rashid Ullah Khan and the recently commissioned officers are: Maj.Dr.Saeed khan, Capt.Irfan ud Din, Lt. Awais khan PN, Capt Waheed Ullah Khan.There is one boys High school and primary girls school. 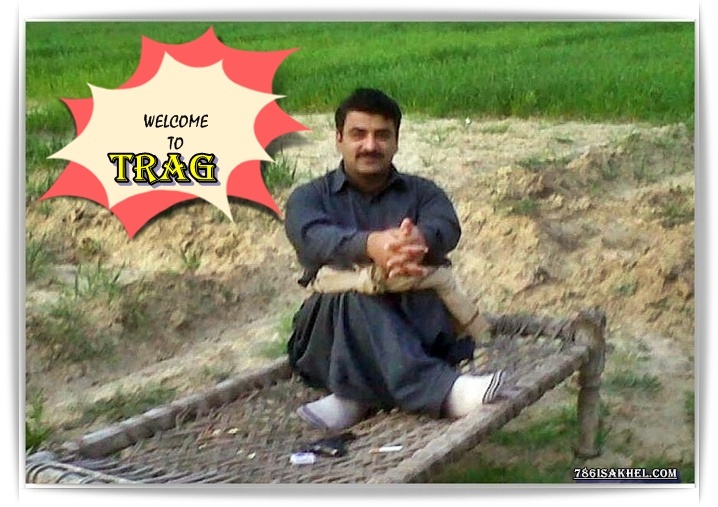 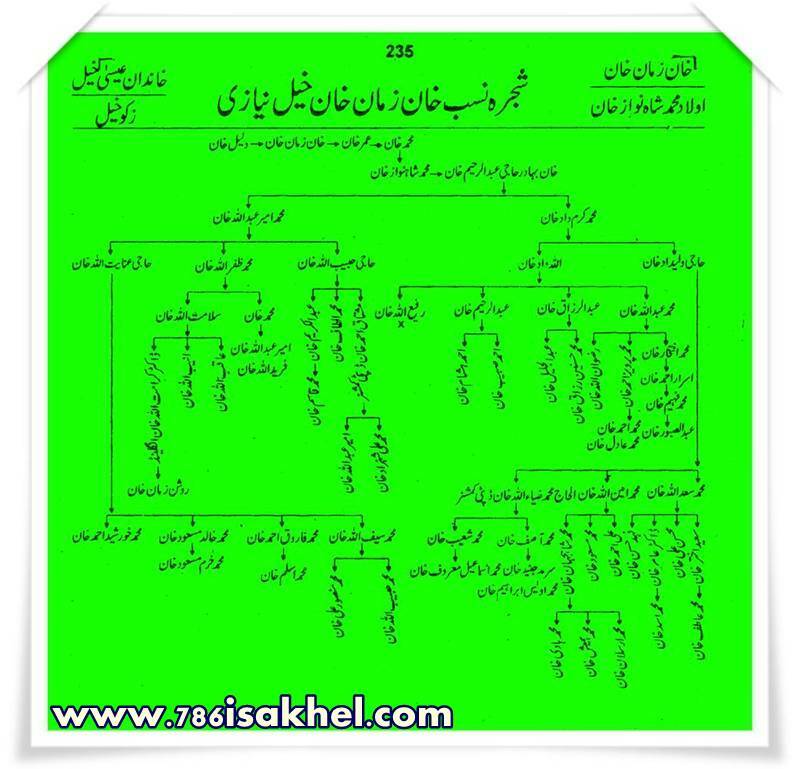 The main tribe is the Khattak, a Pashtun tribe. 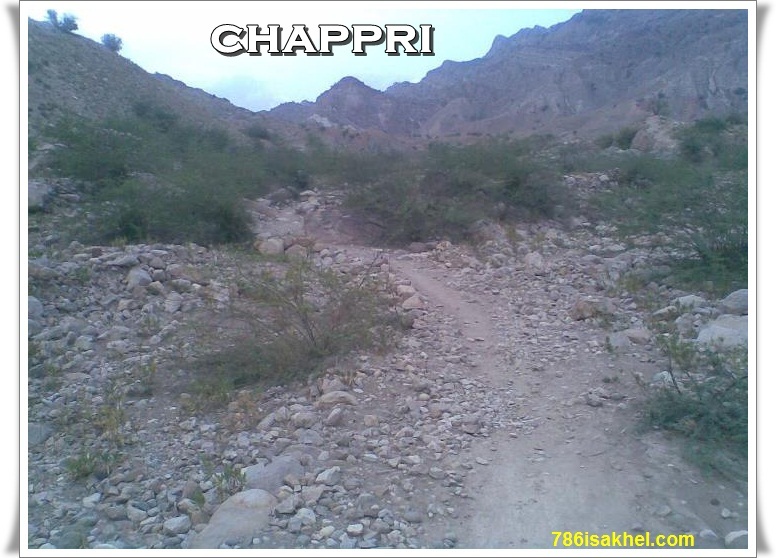 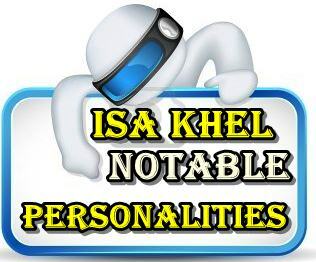 The sub tribes of Chapri are Machan Khel, Mondory, Kuttal Khel, Odda Khel(Latifabad), Asmaal Khel,Noora Khel and Barki khel.Nasrullah Khan has served as Nazim and Shafi-ullah Khan as Naib Nazim of Union Council of Chapri.Khattak Tribe had been led by Khayal Mir Khan Khattak, who participated in Provincial Assembly Elections in 1985. 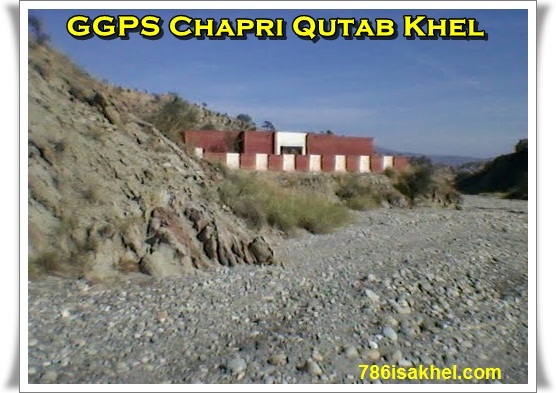 Khayal Mir Khattak played major role in awakening the Khattak Tribe politically.Chapri lies adjacent to Karak District of Khyber Pakhtunkhwa. 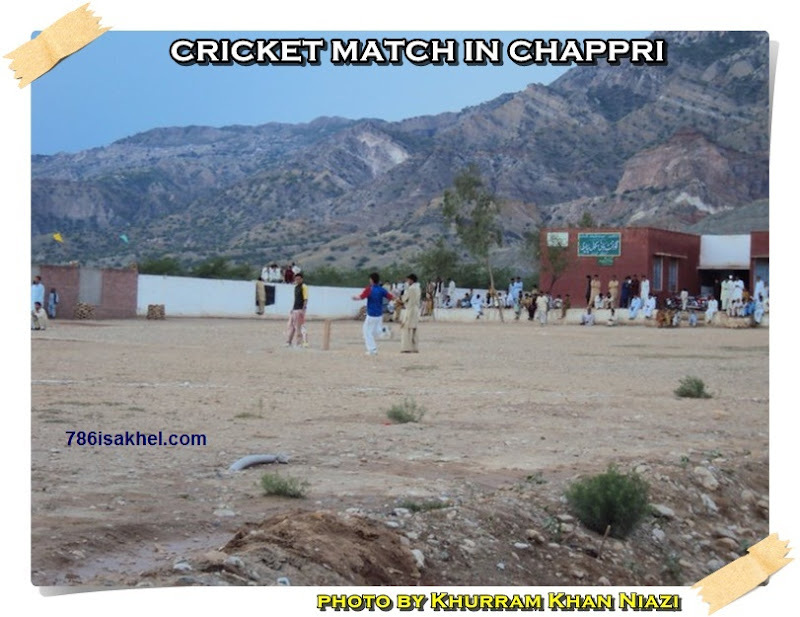 Most of the people are employed in Pakistan Army in ranks less few officers like Lt.col shaista mir khan, Lt.col umar gul and Major (r) saleem,Maj rashid ullah khan and the recently commissioned officer are Capt.irfan ud din and Lt. Awais khan PN,Capt waheed ullah khan.